Brand name rewards people choose for themselves. Your recipients never see any prices and select their own gift from over 100 lifestyle rewards within a $375 Gift Booklet and/or online. 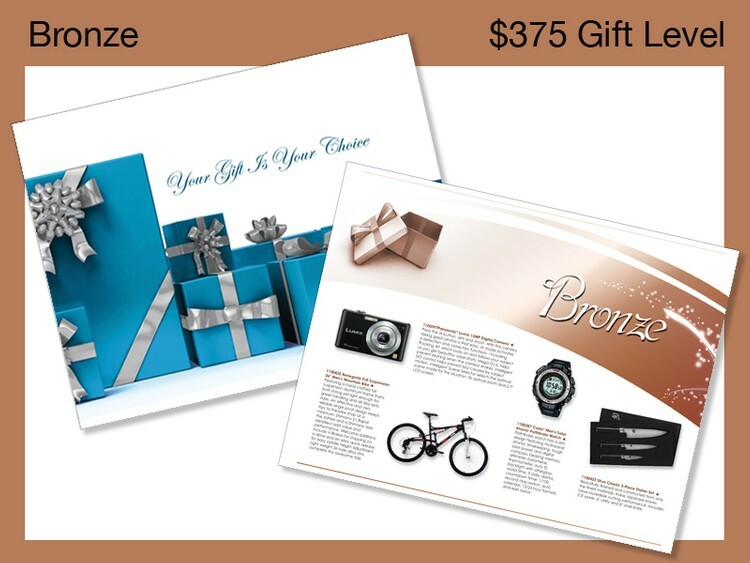 The Gift Booklet celebration packet includes; a gift catalog, one program themed insert letter and seal (for client branding), a postage-paid redemption card, and a specially designed folder. Guaranteed to be perfect - they choose their own gift! Common uses: Incentive, Recognition, Years of Service, Retirement, Safety, Holiday Gift, Contests and On The Spot programs. It's easy to reward and recognize with the Gift of Choice. We take care of any customer service issues, no questions asked. Gift redemption includes S/H to any location in the contiguous 48 States. Booklet orders sent FOB.